The hosts had a good time on the January Sound RIDER! Show talking up what each would want from the new 2016 models that are now hitting the market. Tom wanted a dual sport, Derek wanted a sport bike and Quint wanted a new touring bike. None of them picked bikes from some of the hottest segments of the market. And it’s interesting to note, these classes were all but non-existent or sleeping just five years ago. With the exception of Triumph, no one has been active in the Scrambler class since Honda unleashed its last scrambler model in the 1970s. But over the last few years, other OEMs have awakened to the possibilities and begun releasing bikes into this segment. In 2016 BMW will take its R nineT and fashion it into a Scrambler. Ducati, on the heels of their success of their own Scrambler model in 2015, will be bringing out four new options for 2016. Triumph has re-upped their game on their scrambler lineup as well. One can only wonder how long it will take before we see the Japanese OEMs bring their own to market, or will they completely ignore this hot market segment? Europe’s varied endorsement restrictions require that a new rider, based on age and otherwise, is limited to how much output their motorcycle can produce during their first years of riding. They measure it in kilowatt power, translate that to horsepower. As a result, several years ago a number of manufacturers began producing 300 cc models including Yamaha, Kawasaki and Honda. With the 250cc market in the trash can stateside, those manufacturers decided to DOT their new 300 models and bring them to the U.S. Good news. More small cc bikes in the marketplace for newer riders to beef up their skills. Now what we’re seeing are a number of riders adding a small bike as their second or third mount in their stable. As is revealed in the 2016 Sound RIDER! Demographic/Psychographic study of Pacific Northwest Riders, multi-bike ownership is on the rise in this region. More recently KTM came up with one of their own and BMW will release its own in 2016 by way of the G310R (shown). For 2016 Kawasaki is offering three variations on its popular Ninja 300. MIA – Suzuki. So…what’s going on it the usual classes? This is an interesting one to take a look at. The study previously mentioned also shows that sport bike ownership among our readers has decreased from 15% to just 11%. What happened? One of several things, depending on the rider. Some hit their 30s, started having a family and gave up the bikes. Others have traded them in for more functional mounts like a dual sport, ADV or sport touring bike, areas where we see a lot of growth. Nonetheless, manufacturers are bringing new sport bike models to market with the most impressive of the 2016s being Kawasaki’s ZX-10R and Yamaha’s YZF-R1S (shown). We won’t see the class disappear anytime soon. Racing is the basis for a lot of innovations like suspension, exhaust, tolerances and more. It’s through racing that motorcycles have developed over the last century and that won’t end because the consumer market is lingering. Of course, the big news this year is the introduction of an all new Africa Twin from Honda. That bike has been out of the US market since 1989. Around that same time though, BMW began expanding its GS line and the rest is history. 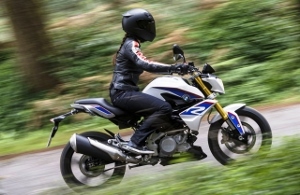 BMW owned the Adventure bike market for the next 20 years. 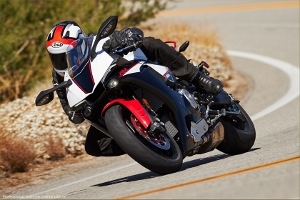 Since then, Triumph has released a number of Tigers in the class and will re-amp the lineup across the board for 2016. Aprilia will introduce a new Caponord 1200 ABS Rally model (shown), Ducati is bringing a Multistrada 1200 Enduro to the market and BMW will continue bringing 2016 versions of its popular 800 and 1200GS lineup. But that Africa Twin is not the only ADV model coming from Honda in 2016. In the fall the motor company quietly released news of a VFR1200X model as well. That brings their lineup to 4 ADV offerings. Since the dawn of the last recession, the cruiser market has been one that has been slowly moving along. Harley-Davidson’s most recent earnings report would lead one to wonder if the cruiser market isn’t going into a recession of its own. The fact is, there’s more competition out there in the high-end model market with the re-introduction of Indian and the growth of the Victory line. 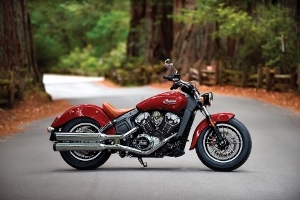 For 2016 Indian will drop a new Scout 60 (shown) which continues its legacy design bundled in all the latest technologies. The Chief gets a redo as well. As for the Japanese OEMs, Yamaha has spent a few years amping up their line and, like the other brands, is pretty much taking the year off on new cruiser model introductions. Nothing much new from anyone here this year, but the market does continue to grow as older riders leave their high horsepower egos behind in search of something lighter and easier to mount. 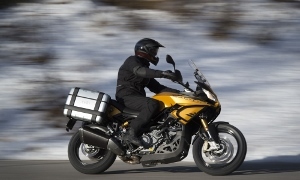 Admirable models continue into 2016 from BMW, Honda, Yamaha, Suzuki and Kymco. MIA – Kawasaki. Another fairly quiet place, but Harley-Davidson continues to release a number of popular models in the class by way of their Road King, Glide and Switchback models. 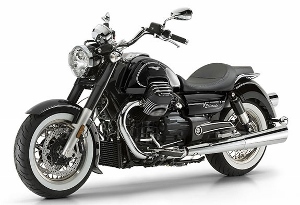 Ditto for Honda’s F6-B models, BMW’s K1600GT and Moto Guzzi’s re-introduction of the El Dorado (shown). Probably one of the most diverse classes in terms of styling, 2016 will see a number of manufacturers push the envelope in terms of design. While Yamaha will do some slight mods to its always popular FJR1300, Ducati will amp up its Hyperstrada touring model to be the cat’s meow of long-range riding including all the finest in suspension and comfort one could ask for. 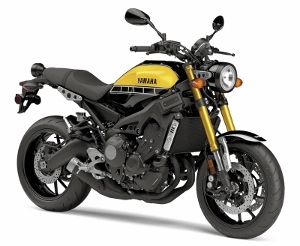 Yamaha’s continued use of the 09 motor will find its way into the all-new XSR900 (shown) cafe-racer-styled models. 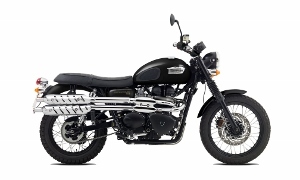 And speaking of café bikes, Triumph’s Thruxton marque will include two re-dos for 2016 with 1200cc motors, optional DCT transmissions and ride-by-wire throttle technology. Electric bikes continue to come to market from names like Zero and Victory. Prices are high, along with advertised distance calculations, but it’s fun to watch the technology evolve in this category, that will surely take off in the market several decades from now as the EPA wants to add more corn water to our tanks and put an end to fossil fuel once and for all. All-in-all, 2016 looks like a great year to buy a motorcycle.